In a few days, it all begins again. 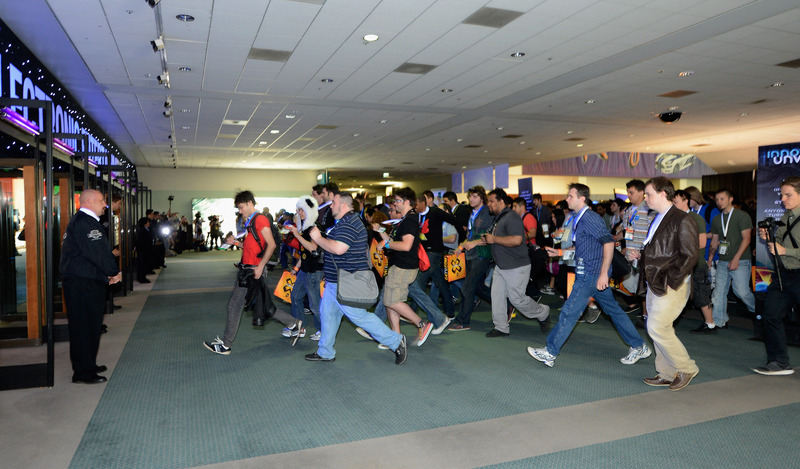 For those reading this that never have idea what I’m talking about when I post something (looking at you, Ed), The Electronic Entertainment Expo, or E3, is the biggest video game industry conference of the entire year. Last year, 48,200 people filled the Los Angeles Convention Center for the event, flying from 102 countries around the world. That’s insane! Last year, I wasn’t one of those people. This year, that changes. I’ll be attending this year’s E3 as a freelancer for the very first time, and I’m diving in headfirst. I’m working with FIVE different outlets spanning two countries to bring you fine folks the best damn E3 coverage you’ll ever see. I’ll be playing games, seeing demos, and sitting in on three of the four big media briefings on Monday (still waiting on you, Ubisoft). Needless to say, I’ll be knee-deep in E3 this time next week. I want to ask you five people that are reading this what you’d like to see at the show, and I’ll try my best to make it happen. I have some appointments booked (can’t say who until they happen), so I may already be covering a game that you want, but I still want to hear what you’re looking forward to. Also, tell me which of the five presentation (Microsoft, EA, Ubisoft, Sony, Nintendo’s Digital Event) you’re most looking forward to. I feel like I know who’s going to be win the informal poll, but I’m still curious. Sunday can’t come soon enough!